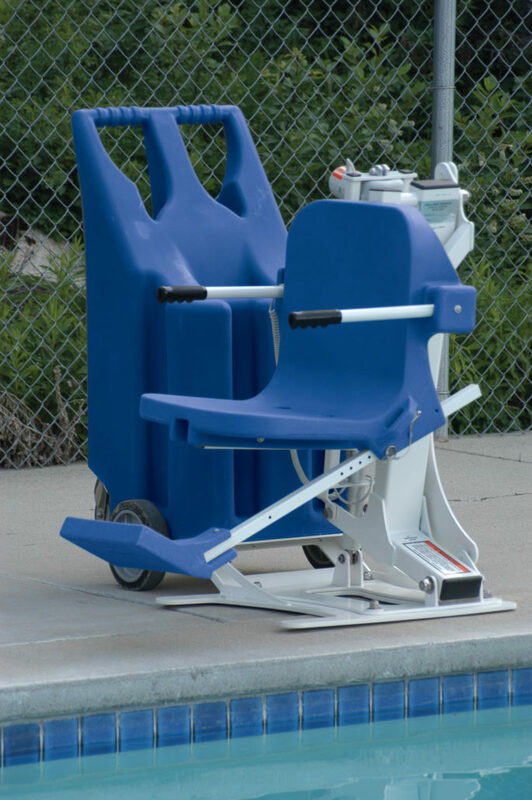 No anchors needed, just wheel it up to the poolside where you want it, tilt it forward onto the base and start using it. This is the only Portable Lift in the industry with a full 400 lbs.. lifting capacity. 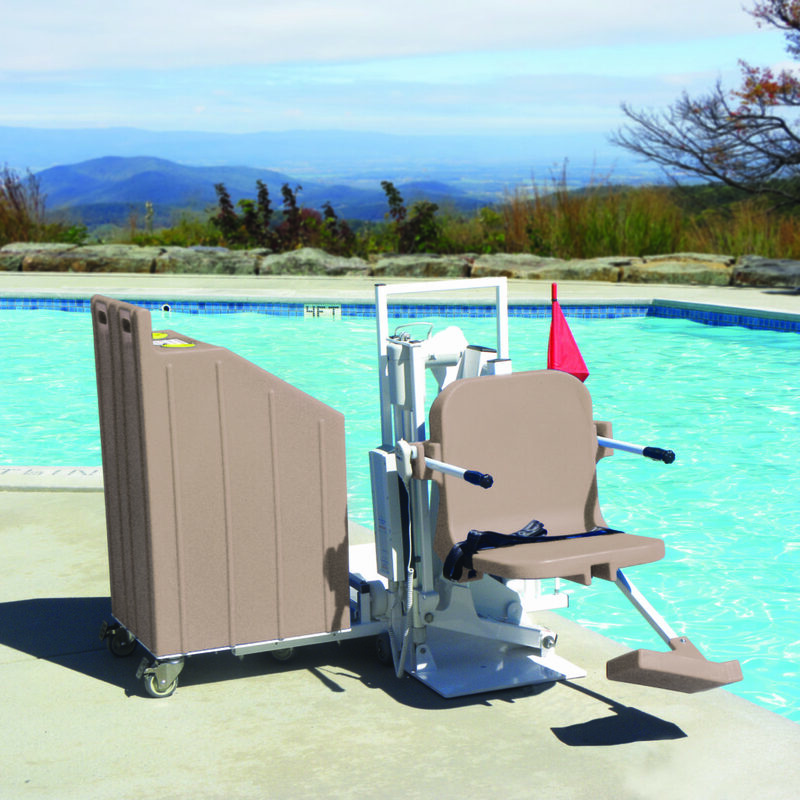 It has all of the features and benefits of the standard Pro Pool Lift with added portability. Portable Kit can also be retrofitted onto an existing Pro Pool Lift to convert it into a Portable Unit! Limited 5-Year Warranty Weight 900 lbs. (with counter weights) Shipping weight 1035 lbs.